We’re excited to be a part of the new end-to-end analytics offering from Accenture Analytics, powered by Mezzanine. Accenture Connected Analytics Experience is an immersive and collaborative analytics capability that makes data more accessible and engaging, helping insight-driven businesses to make faster, more informed decisions. 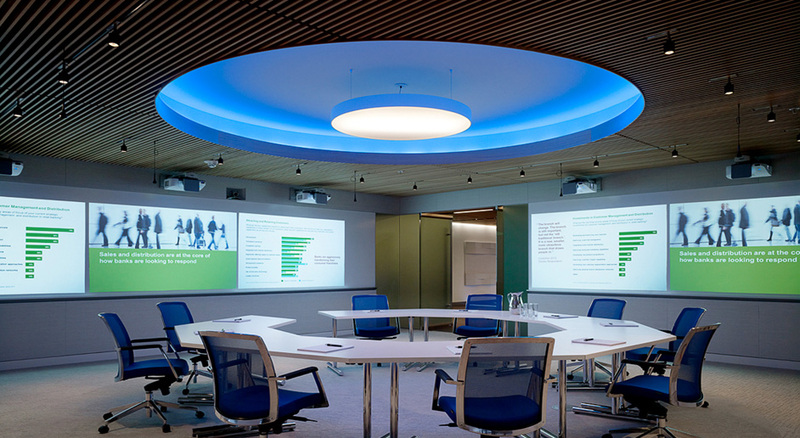 Oblong’s Mezzanine technology enables the immersive environment for the Accenture Connected Analytics Experience. Mezzanine is a visual collaboration solution that defines the next era of computing: multi-user, multi-screen, multi-device, and multi-location. Through Accenture’s immersive environment, Mezzanine helps make analytics more accessible to users so they can find the hidden value in their data and pursue outcomes in real-time, either in-person in the room, in connected rooms via Infopresence, or remotely on their preferred devices. Accenture Connected Analytics Experience is an immersive and collaborative analytics capability that makes data more accessible and engaging, helping insight-driven businesses to make faster, more informed decisions. These immersive environments are currently available in Accenture’s New York, San Jose, and Bangalore offices. Accenture plans to bring environments to other office locations around the world including Chicago, Paris, Madrid, Milan, London, Mumbai, Singapore, and more. Immersive environments can also be built on premise at a client company’s site.